What would be considered a good salary in Malaysia? I am thinking of relocating to KL, and need an idea of what would be considered a good salary to maintain a heathly living standard i.e what salary would comfortably cover all my expenses such as rent, food, social events, clothing etc. This is a question asked a lot, and it’s complicated because, in my experience, KL is a strange city with regard to cost of living. You can, with equal ease, spend RM1,500 a month here or RM15,000 a month. It’s like there are two separate cost-of-living structures present in KL. If you live fully in the upper tier, RM10,000 will allow you to get by nicely. If you live fully in the lower economic tier, you can do just fine on RM2,000. Your salary needs are determined by how much time you spend in each tier. I moved here from the US and after living here a few months, have started compiling a spreadsheet of costs of things here relative to income, using US$3,500 a month as a good (but not exceptional) income in the US city and RM5,000 a month here in KL (also good, but it’s not like you’re WEALTHY at that income level). In almost every instance, KL is more expensive relative to income, usually by a vast margin. But paradoxically, you CAN have a pretty comfortable life here for not a lot of money. To do that, though, you have to eschew a lot of foreign comforts. Imports are expensive, whether it’s cheese from Australia (dairy products are 4 times more expensive relative to income than the US) or cars from Japan (up to 5 times more). In a nutshell, here’s my opinion (and just that — my opinion; other expats’ experiences are doubtlessly very different). You can get by and have a reasonably comfortable life here for RM2,500 a month. You will not live in a fancy place, you certainly won’t be driving an imported car, and you won’t be eating in Western chain restaurants three times a week. But you can live in a decent place with air-conditioning, have satellite TV, eat local foods most of the time, and not have to worry at all about money. Earning even a little more can make a big difference, though, and if you’re paid in the RM3,500 to 4,000 range, you can enjoy a relatively comfortable lifestyle and not have to worry a lot about your spending at all. Again, you won’t be able to indulge in designer imports and fancy meals every day, but you can easily afford to treat yourself somewhat regularly. RM5,000-6,000 a month will allow you a broad swath of housing options and a comfortable lifestyle. At that income level, you can easily afford a RM2,000-a-month place, which goes a long way in many parts of the city (but not all). Some people write in, wondering if they’ll possibly be able to make ends meet on their RM12,000-a-month package they’ve been offered. With that salary, you can live very well in KL unless you have a bunch of kids or a designer clothing fetish or something. There is, frankly, a lot of economic disparity in KL, and it’s reflected in the costs of living. For almost all goods, the range of prices can be extreme. Rents go from RM400 to RM20,000 per month. You can spend RM120 a head for a meal with wine at a nice restaurant, or you can get a meal at a local food stall for RM4. A trip to the local grocery store can cost RM50 or RM300. For my part, life in KL was amusingly cheap only when I converted prices into US dollars, which I stopped doing once my income started being paid in ringgits. Cars are breathtakingly expensive in Malaysia relative to income, but after the initial acquistion, driving them is fairly cheap (maintenance, road tax, etc.). Another expensive indulgence here is drinking. A bottle of imported vodka is about 3 times more expensive here relative to income than in the US. So to give you a roundabout answer, if your income is below RM2,500 a month, you’ll have to live pretty frugally (and many people here subsist on considerably less). RM2,500 to RM4,000 will get you further, and anything above RM5,000 will afford you a pretty comfortable life in KL. 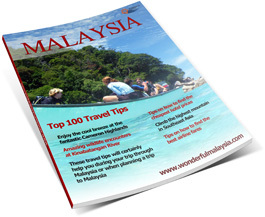 Read all about Living & Working in Malaysia. What is the Residence Pass-Talent? 40,000 RM then is a good salary for a family ? Hi, You mean as in 40k per year? It depends if it is including or excluding tax. But still it would be an ok salary, but you will probably still keep an eye out not to spend too much…. Ah ok. Sure these amounts are usually more than sufficient given that for the biggest part of all citizens this is their yearly income…. 29k after tax means that you will earn a top level income for Malaysian standards. I have been offered a salary of MYR 9K (7k + 2k (house Allowance) per month. I want an help on whether I would be able to get a accommodation in a good place, can you suggest me some places near train/buses which would lead to the my office. About me – I am married and currently dont have any kids, but my wife would be accompanying me – I am thinking of getting a 1 bed room and hall + kitchen any clue on rents? Would I be able to save close to MYR 5k per month? if i go low on the expenses like eating out and movies..
Do I understand correct, you will earn 9k but prefer to save up 5k each month? I assume you also need to pay taxes over that 9k (could be around 26%). We used to live at Bidara. Regular price for a condo there is around 3k. It has a pool, and the units are ok (though not extremely spacious). The location is perfect, plus it has many other expatriates. This would be within walking distance of your office, but also 3 minutes from Pavilion KL, Lot 10, Bukit Bintang etc. If you want to live outside KL, then prepare for longer transit times. Your office is near the monorail. Just check google maps for that, you’ll see where it has stations, and where you could try and find something. You could start looking at iproperty.com.my, or propwall.com. Rent would be cheaper, depending on your preferences (Some local buddies of ours pay not more than RM1500 per month, but I also know people paying well over RM10k a month). RM9k with 2 persons is certainly do-able, but you will not be living a filthy rich life :). True, you can save a lot by living a bit sober and more like locals, but even a good meal outdoors can be quite expensive (even at local places, KL is getting more and more expensive). yes the intentions was to save 5k per month, but dont think it is possible.. knowing the initial 6 month rent and other things..currently I am negotiating for 11- 12 k per month, lets c! Finally I got my salary negotiated to MYR 11K per month 🙂 do you think it is okay. I have researched property @ Bidara; can you please give me other similar option where I can find 1 Bedroom, hall and kitchen apartments. That is nice. RM11k is certainly a nice salary. This should certainly be ok. Remember that many locals in Malaysia with good jobs earn around 3/4k or less. I am not sure what you are willing to spend on rent and such. There are quite a few nice condo’s in KLCC, but rent usually starts around RM5k for a small studio. The same place goes for half or less when you move outside the city, but this means more travel time (and do know that the Raja Chulan area is always jammed during rush hour). thanks, yeah I definitely don’t want a car. I hear the Bangsar neighbourhood is where things go on. Are rents expensive there? I find all the places for rent posted on the internet are by the same few companies. What’s a local say? thanks for your time IIya. Bangsar is definitely a nice and cozy neighborhood in KL. Probably the nicest place with indeed a pleasant evening vibe. However, most units in condo’s are expensive. You need to know people to find local places. Those might be cheap (below RM2k), but you get what you pay for. Those sites you mentioned (you probably mean iproperty.com.my and propwall.com) are leading sites when it comes to finding a place to stay. If I were you I’d start out with a short term place for at least 3 months, and take your time finding something really suitable. The information provided is very helpful. I have an offer of 7000 MYR/month. Hopefully I will be able to save half of it, if I want to. I will be looking forward to your response asap. Not easy to give a good estimate as everybody has different standards. What you describe as upper-middle class might be very luxurious for others. I can only give estimates, and it still depends on your personal way of living over here in Malaysia. Grocery: most of the foreign people we know come by with at least RM500 per week including the occassional dinner outside. We also know people that easily spend double. Rental outside KLCC: from 2,5K onwards, but a condo in a popular expatriate area is often above RM10k per month. Utilities: also depends on personal usage. If you use aircon 24/7 then expect bills over RM400 per month or more. Water is cheap. Internet (4mbs): RM150 p/m, Cable: dunno, we don’t have that, but you can check the astro website, Gym is often included, if not check Celebrity Fitness for current prices. We have no experience with international schools, so I cannot give any estimates on that. If you are send here on an expatriate package, you will almost always live a upper class life in Malaysia…. 1) Just to give you an idea, we will mostly eat home-made food. Can you give a rough idea basis this? 2) When you say RM 4K/month, is it a 2 bedroom flat in KLCC? 3). What about a 2 BR flat in outside KLCC? When you say outside, is it suburbs? 4). What’s the tax structure for expatriate? 5). When you say 24/7 consumption of aircon, is it 2 aircons or just one? 6). For utilities, is it OK to take RM1000 for a month? Considering all this, do you think that RM 13K/month (excluding school expenses) is good enough post taxes? Also, will I be able to save around RM 3K/month post all expenses? I know it’s pretty subjective but just a rough idea will do a great help. 1) home-made local food, or home-made food made from western or imported products? Big difference in price. Stuff bought at local markets of supermarkets is quite cheap, but stuff at the upscale supermarkets very expensive. If you were to buy all kinds of products at a upscale supermarket, a full cart could easily cost around RM300 or more…but then you would have a lot of groceries :). 2) Yes, 4k is usually something small with 2 bedrooms, or a studio only. New, luxurious buildings in KLCC charge very high amounts because they simply can. 3) I suggest you check iproperty.com.my or propwall.com to get a general idea of rental prices and availability. Outside KLCC can still be in KL, KLCC is the city center; the heart of the city. Areas outside of KLCC/KL that are quite popular among expatriates are Bangsar, Damansara (multiple areas), Ampang and Mt. Kiara. Some might also call these areas suburbs of KL, while they actually ‘belong’ to Petaling Jaya or Ampang Jaya. 4) Wouldn’t know, don’t work here. I know highest is around 26/28%. Usually the first year you pay only 8%. It depends on several factors. I would advice you to check the Malaysian IRS for this. 5) We have an electricity bill of over RM300. We use 1 aircon 24/7 (throughout the place). We have it set to 25/26 degrees. If you would set it to 18 degrees, prepare for huge bills. 6) I think it might be a bit too much, but ok if you want to be on the safe side. I think 13k after tax is a decent amount, but saving 3k might prove difficult. But you are right, it is subjective based on our lifestyle and perhaps not yours. You might need to consider an area in the suburbs, perhaps near an LRT station for easy access to public transport to save more money for other purposes. If you are not going for the luxurious condo’s, you might be able to find something around or below 3k, which would make quite a difference. I would not chose KLCC to live in too fast and easy…we used to live there and after a year we were glad to move out (too much pollution and noise). Many thanks for the clarification. But I have some more of them. Apologies for this, if it’s irritating you. 1). Since I am from india and assuming that i will require pulses, vegetables, chicken, 2-3 litres of milk everyday, eggs, etc…When you say RM 300 for groceries, is it per week? 2). I am not looking to stay in a very luxurious accommodation. I am looking at 3 bedroom apartment with an educated / decent neighborhood. May not be in KLCC but around that. Will I get this in RM 3K/month? 4). If it’s Mt. Kiara, then it will be how much? Also, how long does it take to reach main city center in KL? 5). When I said RM 1000 for utilities, do you think it’s OK including electricity, water, cable connection, internet connection, etc? Actually I have got the final offer which is RM 13,800. I will have to bear the school expenses as well. I don’t know whether it’s good enough or not. Many thanks in advance. Just one more thing….. This also includes RM 1200 for car as well. 1) Yeah, at least RM300 per week I’d say, we spend this with only 2 people (but we also buy some expensive western products weekly). 2) 3k/month should definitely be enough, outside of KLCC in a decent condo complex. I guess you can even expect a pool and gym for this amount. It will probably not be fully furnished for this amount, but it might be in an older building or less popular area. 4) Mt. Kiara has international schools and western malls/supermarket. Without jam it would take about 15/20 minutes to reach KLCC by car. There is almost no public transport. Mt. Kiara is one of the popular expat areas. Condo’s over there are usually quite spacious. Regular condo’s tend to be a little bit more expensive compared to other parts of the city. Because of a huge increase in units, prices have lowered the last few years, especially older units. I would expect at least 4k for a unit (I guess most come with 3 bedrooms or more). Again, check iproperty.com.my for condo’s. 5) I think it is a bit on the high side if you include everything, but at least chances are slim you will go over it. I think it is quite realistic for regular packages/usage. But electricity is an estimate all together. Depends on many factors. So your RM13.000 is the amount you are left with after taxes? How much taxes is taken into account. Did you mention EPR (I think that is how the local pension scheme is called, but you are exempted from it, and should get it reembursed into your wages). Don’t know the exact details of it though, better find out before accepting. I guess RM13.8k should be ok. Though there probably are many expatriates with much higher income in Malaysia, it still is way more than the average local earns (I believe average income lies between RM2k and RM3k in Malaysia). 1). I have taken a provision of RM 2000 for the grocery including a kid of 7 years. This includes eating out once in a week. Hopefully it’s OK. What’s your say? 2). Can you suggest some good area outside KLCC as per my requirements, which well educated and very decent neighborhood? Also, will it come in 3K? 3). When you say fully furnished apartment, what all is included? I mean does it include TV, AC, Washing Machine, Fans, Beds, Curtains, Modular Kitchen, Mixer Juicer, Microwave, Refrigerator, Food Processor, etc….? 4). RM 13,500 is net take tome. You think that I will be able to save RM 3K? Apart from RM 13,500, I am also getting RM 1200 for car & RM 2000 against miscellaneous expenses….. Therefore, it becomes RM 16,700. Can’t give anymore input. I think you and your family will be able to live a nice live in Malaysia on this salary. I know many others do too. There are of course also many expatriates that cash in over RM30k per month nett, but that is an absurd amount to many (including many other expats). Fully furnised differs from place to place. It depends usually, but often there is some room to negotiate with the home owner to add more stuff. Usually fully furnished mean that the condo already includes all the basics of a home, you can simply pack your bags and move in. Things like juicers, food processor might not be there…the other things usually are..
Do know that cars are quite expensive here. Your allowance is nice, but a normal standard size car easily costs over RM50k. A typical European car (BMW/Benz/Audi) often are above RM200k. You might be able to find more information about the right areas in KL and such! I got an offer from T-Systems which is located in Cyberjava. They are offering me 7K MYR. Please tell me whether i should accept this or not ? Will this be the enough amount to servive and to save some extent in Malaysia if i live in Cyberjava or nearby? I am married with 4 months old baby but i will take my family after 6 months. To fully support a family with 7k before tax is doable but probably tight, even if you are living in Cyberjaya. I all depends on what your requirements are. Read the answers I gave before to get an idea on the costs. Cyberjaya can be cheaper. For most local Malaysians (with families) 7k would be a well above average income. Not sure if you would be able to save much. I know foreigners that pay 20k per month on rent, I know people that pay somewhere between 2k and 5k per month, and I know people (especially many locals) that pay less than 2k (and some even less than 1k). Thank you for your valuable suggestion…you are right it all depends upon our lifestyle. However to live a normal life with basic amenties i think it is OK. Moreover i can look other offers after working sometime there…so to live alone for 6 months i can save some amount right ? Sure, if you don’t spend too much you should be able to save up a bit in the first 6 months. Again, you will probably not be living like a wealthy expat, but it still is an above average income if you would compare it to a local income. Hai, A company offered me 48k RM per year,is it Good salary for me,and one more thing i am single.my office is in cyberjaya sol state,at what cost i will get good room in that location or is there any better places to live. I’ve replied at our forums, so it is easier to discus this further. Please do not hesitate to ask additional questions there (and hopefully others will reply there too with their input!). I have been offered for 10K per month in CSC Petaling Jaya Selangor. I have a wife and 3 yr kid. I have gone through the above info which is quite useful. Want to know if 10K will be sufficient which needs to include the schooling education and middle class living standard for 3 member family. My concern is if I will be able to save 5000RM after this? You are really doing a very big contribution. Thanks for all. I have one straight forward question. As a rough figure, I can save 80K INR per month. With my present Job, India itself, I am able to save 60K. Would it be the correct choice to move to Malaysia with current salary? Suggestion might help.. Please register and continue the discussion over there, so other forum members can give their views too. @Vinay, I replied at our forums. Please register at our forums and continue the discussion over there, so other forum members can give their views too. I have been offered in KL, Malaysia with RM80K per year. Please help me out , how can i manage this pay to stay with my wife and to save around RM3500 per month. Hi Vinod. I replied at our forums. Do let me know if you have any further questions. I would prefer your reply at the forums. Your post was so much helpful and resourceful. I was wondering what is the basic salary range for Game Developer ( like android/iphone/unity ) with 3-5 years exp. I’m a foreigner and got an opportunity in Selangor and they offered me 5000RM but I’m little confuse moving there with this salary range. What is your opinion in this case. It is really helpful post. I got an offer for postdoc in UPM with RM5000 per month and they say tax is only rm50 per month. I am cannot spend much for my house rent, I am adoptable, so do suggest me good place (Around UPM) for rent for rm 500 – 700 per month (Do I have to pay any advance amount? ), then people are suggesting me to buy a used car, so that it would be better for one year stay. The other things, I cook my own and now I am confortable with malasian foood around RM6 for lunch too. Is the Salary good and can I save RM3000? I am single BTW. I would like to have some other related suggestions from you. I replied at the forums. Let me know in there if you have any other questions….. Thank you for the quick reply. I will consult with the head of the institute. Regarding room rent, here there are few UPM international building apartments available for RM1000 per month. So have to choose that. For car, I leave that option – not going to have one. Thank yo once again for your suggestion. You forgot to add that job hunting is not that easy. As busy as KL is there is quite an alarming rate of job scarcity, and that landing a job nowadays won’t guarantee you a comfortable RM2,500.00 monthly salary even with a Bachelor’s Degree plus years of experience. The only job that comes in an abundance is a storekeeper’s job which is less than RM900.00 without commission. You are absolutely right. If people ask me (many Dutchies for example do) if it is easy to just travel to Malaysia and land a job there I advice against it unless they are highly qualified (in specific fields) with years of experience. So many young people (under 27) try their luck and get disappointed in the process. We too had quite some difficulties getting a job here, we did manage in the end, but it took over 7 months….and another 5 months to get a work permit…. I have been selected for S/w company which is residing at KL. I am single and yet to marry in 6 months. Do you have any idea what will be the pay for 5.2 years of exp in java. I wouldn’t know. Totally depends on the company. Those wages statistics usually are quite broad. Expenses can be read in the article and in the replies (and at the forums). My to be hubby has been offered a job in a banking firm in their IT dept. He has been offered 5000 MYR (60000 MYR annually). He has 5 yrs of experience. The company says thats the minimum they can offer, not quiet willing to negotiate. Considering that he accepts the job. 1) What is the approx cost of living in kuala lumpur? 2) He is not a great spender, he would prefer to initially move share an apartment or so. After our marriage we would preferably move in a 1 BHK or so. So where should he hunt for a place where he could save up a little? 3) Post marriage, I would also be working so my income would also be added to the same. I know job hunting is difficult, but i am a mgmt graduate working as a Marketing & Sales Professional. So would it be very difficult? 4) Whats the the tax rate for Non-Residents? 5) How is the transportation in Malaysia? Is commuting a problem? If you could reply, it would be of great help. I’ve replied at the forums. Do let us know if you have any further questions (preferably in the forums)…. If I am not wrong, I think post 182 days of staying in Malaysia a person is considered as a resident of malaysia and the income tax goes as per the tax rate for the residents of Malaysia? I got an offer from a Malaysian company for 5000RM per month(before tax). But i have a housing loan back home in India and 2 dependents back home. I have to send atleast 2500RM per month back home to cover all expenses. Will i be able to do that? Considering i am 25 and single. I can share accomodation and have a decent lifestyle like eating out thrice a week (not luxurious), internet, tv and use public transportation. Please advice. It would be very helpful. I got an offer from IBM Malaysia,KL, they are ready to pay 15k RM/month. I am planning to come with my wife and 2 kids. One daughter is studying I Class. could how much savings I can do per month. Can you tell me the experience on which they offered you this ? I mean what is your total work experience ? @Mayura yes, 1st year has this limit….but again, you are not a local resident, so simply contact IRS Malaysia to get proper advice. @yadav This will perhaps not be easy, but many locals are able to live decent on RM2000. I think you should rethink whether you would want to come to Malaysia on this salary. @naga I wouldn’t know. Not easy to come up with figures based on that input alone. However, I would think that RM15k should be enough. However, giving input on possible savings is impossible. Just a quick one; I am currently working @ Egypt (I am Egyptian) in Oil & Gas for a monthly taxable salary of 24 EGP (around 12K MR) + benefits, and I was invited for an interview in KL @ Oil & Gas field too, but they are asking me for the expected salary, what do you think I should tell them about my salary expectation?? I’d suggest to find someone in the same industry over here in Malaysia to help you with that question. I can tell you that 12k before taxes but excluding benefits would be an ok income over here, but that doesn’t tell you anything about the normal wages in your sector. Many thanks for this, appreciate it. What are the affordable locations to live around Jalal Stensen Sentral? And how much would a condo/1 bedroom apartment cost around there? I believe the only place in the immediately vicinity of KL Sentral is Suasana (Loft/Condo). This however are semi high-end units. Usually prices start well above RM4000 per month. I am not sure if they even have a 1 bedroom unit, as most are quite spacious. Currently they are finishing some new buildings in that area…but it will not be finished until next year I guess. Other options are in Brickfields, which would mean a 15/20 minute walk to KL Sentral (or you can buy a bike or something). There is Scotts Condo, and a few more local appartement blocks nearby. Are you going to work at KL Sentral? In that case you could also considering finding a place along the RapidKL or KTM Komuter metro lines….as they all use KL Sentral as a hub anyway.. Thanks for the info!! Yes, my office is located at KL Sentral. I am single and hence need a one bedroom apartment. I am hoping to find a place around that area for a maximum of RM 2,000. Do let me know if its possible. I would also like to know if there is an advance I need to pay the owner and if so, how many months do they generally charge for? Should be possible to find something for that amount yes. Try the property sites like iproperty.com.my to find an agent that can show you some places within your budget. Normally you pay 2 months deposit + half a month for utility fees. Also, contracts usually go for 1 year minimum…short term is not easy to find, unless you pay dearly…. Well this post is useful. Ive been offered a job a senior .net engr in malaysia. When asked how much is my expected salary (which i have no idea with regards to malaysian standards) I said 8.5k. Maybe its too low or maybe its high. But basing on the possible expenses per month, It might be alright. You could try iproperty.com.my or propwall.my….nothing nearby that area near Pudu that I know of. You could check for yourself via Google Maps if any of the condo/appartment units are nearby one of the stations….you can also looking along the Monorail, as you can easily transfer at Huang Tua to the Pudu line…. I am from India. I have been offered a job at Shah Alam, Malaysia with RM 8500 per month. I am married, my wife would accompany me. We are vegetarians. can you please comment regarding cost of living at Shah Alam, including house rental, local transportation and food. Kindly find time to reply. Should work in Shah Alam. You’ll pay around 24% taxes, first year usually only 8% (depending on how long you are in the country). I assume there are enough places that serve vegetarian food in Shah Alam. You might want to find a unit nearby the KTM Komuter line, so you can easily travel to Kuala Lumpur or to other places within the Klang Valley. Cars are quite expensive. I am not familiar with Shah Alam, so I cannot suggest any nice and affordable places. You could try iproperty.com.my (though they mostly cater to the higher class places to live). is it sufficient enough to live a life that im living in dubai rite now ? With wages of around 20/23k after taxes you should be able to live a pretty comfortable life. Can’t tell you if lifestyle will differ much, as I am not familiar with Dubai. As this question is way beyond the scope of our travel website, I will only point you to the main source of information regarding MM2H; the official MM2H Governmental website: http://www.mm2h.gov.my/conditions.php (here you can check up on all requirements). I am kamrul from Bangladesh. I cannot tell you what your chances are. I do however know that jobs within your line of work usually are scarce as many Malaysians have degrees in that section. Finding a job when you are in Malaysia will not be easy (well, finding it perhaps is, but getting the paperwork/work permit done is another thing). Don’t know what the average pay will be. This depends on years of experience and what level you are starting at. I’d say that with a sr. marketing management position it should not be impossible to earn above 5k. Please provide information that HOW U GET THIS JOB? I got an offer in Cyberjaya about 3700rm salary plus 800rm for accommodation. Do you think it’s enough for me. I do not have any info about the Tax I have to pay in Malaysia for foreigner. You can never save 2.5k with a 3.7k salary. You need like more than 6.5K to be able to save 2.5K a month. I found your post/article very informative and useful. I would like to get a clarification on a few things. 1. I have been offered a job in Malaysia and will be working out of Cyberjaya. The salary is around the RM3500pm bracket. Do you reckon that this is a decent salary to start off with? Considering i have about 7 years of experience in my field. 2. With a salary as mentioned how do you consider the kind of lifestyle will be. 3. How easy is it to travel around my work area considering public transport will be my only means of getting around. it would be great if you could provide me with your point of view on this. Pls tell me can i live in k l ? At the outset, let me congratulate and thank you for the help you have been so graciously providing. I have a query. I have been offered a job as an ASSISTANT PROFESSOR in one of the medical colleges in MELAKA. The salary offered is around 8500 MYR/Month including everthing. Is it a good salary and could i save around 4k from that? I am single so family expenses would be lower. Thank you in advance and Waiting for your reply! My husband got an job offer from johor bahru. Monthly salary is 6000MR (before Tax deduction) so can you please guide us. According to us after tax deduction and EPF deduction his take home would be around 4000MR. what are we suppose to do? I’m actually a bit confius on the saving part as many have put in their comment. It seem that most want to save at least 40% of the salary offered. Eg RM 8.5k and wish to save RM 4k, RM 3.7k & want save 2.5k. i don’t think it is possible if u want your family to maintain a middle class lifestyle esp in KL / Penang / JB area, have kids and earn less than 10k. I’m a malaysian working with semi-govt and my salary is RM 8k + 3k side income and my wife also a govt officer with RM 7k. Working exp 8 -10yrs. All income pre tax. Have 2 child. have 3 mortgages with monthly payment of RM 6k, no car loan, travels a lot, and spend around RM 2k/month for groceries & foods, RM 1000/month for childcare & preschool, RM 600 for petrol and the rest for clothes / entertainment & other commitments. Nowadays a junior officer with degree in govt office will earn min RM 3 -4k including all allowances, and the figure should be the same if not more in the private sector. If u’re going to work here and live with your wife & kids plus want to keep some for saving, u need to get at least RM 10k/month. For single person, RM 5-6k is enough to cover all the expenses. What is your position? Manager? The forum is currently down. Could you please bring it up? i am expecting to proceed to KL on a 2 months project in coming month. My employer is a multi-national bank which has AML hub in KL. the project may likely be converted to job offering. as per the bench mark my employer is expected to offer a package ranging between 8K-10K / month. I am married with a 5 months old daughter who will accompany me once i get settled. Please assist if the mentioned package is fairly good for survival where after meeting all my necessities i can save at least 2-3K per month. Can i get a reasonable residence for my family within Jalan Ampang area where my office is located. Is 4K be good for rent and grocery. Most of fresh grad engineer are paid around 2.5k… they share an apartment with other 7 people cost around 1k. utilities is around 500. car and fuel is around 1k for Malaysian made car. eat at local food stall around 5 ringgit and 10 ringgit for dinner per day. if anyone came here with families they need at least 7-8k monthly. this is kuala lumpur. Penang, melaka and johor is cheaper. but still need 5-6k. and if anyone here would help me get a job in mechanical field please email at [email protected] you help me, and i will assist you as good as i can. Hi, got a job offer from TOSHIBA, of 7000RM. I will be coming with my wife. Let me know her job opportunity in KL. She is an MBA-HR with 3 yrs of work exp. ALso help me to undrstnd whther 7000RM is a decent salary or not , coz, I need to save min, 3000RM. Hi, I got placed for an internship in `kuala lumpur, They are going to pay only 1500RM per month. I am an bachelor. The question can I survive?? Hello, anybody else here can give me an idea how much the salary in MALAYSIA? I’m a FILIPINO and someone wants me to get hire (direct hire) as a KITCHEN ASSISTANT in JAPANESE RESTAURANT. I have no idea, hoping someone could help me here… Thanks! have been living here for the last three months! from my observation i totally agree with what this articles says! KL is strange in a sense! not everything is for everyone here! I am about get offered a job in KL, near KL Sentral. Its a sales opening and I have 9 years experience. Can you suggest what should be the salary I should negotiate for after taxation? Also, if you could help on telling me what all points can I negotiate on as Its a relocation from India to Malaysia. It will be great help. I have been offered an internship with a salary of 500 usd incl statutory VAT. Is that enough to live really basic? Since this page is among the top result for expat job/salary, I’ll just leave this here. I can personally vouch for the accuracy especially on IT and engineering department. The rate stated is almost average for KL, Johor, Selangor and Penang. If you’re an experienced IT profesional, you might got lucky and actually offered ridiculously high rate in some tech company at Cyberjaya l, I’ve noticed huge number of Indian expat(mostly IT profesional) in recent years, here in Cyberjaya area. In short, based on the salary guide, RM5k/month(after tax) is actually good limit to impose as lowest possible salary, should you consider of relocating. @Kavatikvadrat: 500 USD is about RM1500 ringgit. This is a really really low amount to have to live on. I am not certain where you are from, but only people from 3rd world countries might find RM1500 enough to live by in Malaysia…but to be honest, it will be below the lowest level of basic living in Malaysia. I will be coming to Malaysia for work next month and will be staying in Petaling Jaya. My salary will be RM2300. I am single, female. My question is would it be wise to get a studio unit with my salary? (Half will be shouldered by my employer) I am looking at units from RM1000-RM1100, but these do not include utilities yet. Thank you very much! I do not really get what you mean with if it would be wise. 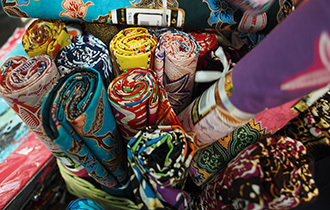 The main question would be if you are able to find something suitable for around RM1000 in PJ. Utilities could be another RM300 per month, unless you are never home and do not use aircons….internet is also not cheap, but may already be provided in the condo/unit. RM2300 before taxes is not that big of a salary. Will you be getting a work-permit too? I believe you can only get a work-permit if you earn above RM5000? will move to KL soon. Do you think this is a good offer? I think it’s an ok offer yes. Not sure what normal wages are in your line of work, but RM7.5k is quite ok for a 31 year old. Not sure what the 4 month bonus means. Also is that RM7.5k before tax or after? The difference is about 26% (or less). Also, will you be sharing this with your family, or is that income just for you? Hi, I deeply appreciate the support offered to all foreigners trying to come to Malaysia. I am presently employed as a Sales Director for a MNC in India earning USD 50,000 per annum (incl taxes) and handling India/SE Asia. My Boss wants me to move to KL since Malaysia is central to the region. I have 2 children aged 12 and 6 years apart from my wife who would relocate with me. They would need to join an Indian school in KL. How much salary do you think I need to earn per year (excl tax) in KL if need to save USD 3000 per month ? I will have to live in a locality close to my children’s school. I can work from home since my travel will be to the countries in the region. We are an upper middle class family presently living in Bangalore paying USD 500 per month as house rent. We are vegetarians and lead a rather simple life. Thanks for your help. USD3,000 is almost RM10,000. With 2 kids and a wife I’d say you probably need a high end income in Malaysia to be able to live ok. Kids go to school. You need proper housing with 4 people. I cannot give an estimate in what would be normal wages in your situation, but it will probably be well over RM25.000 per month before tax deduction if you want to be able to save about RM10k. USD500 is a bit over RM1500. It might not be easy to find something suitable for that amount, unless you are willing to live far outside of KL/PJ which will have other disadvantages. However, I do know people that rent a whole 3 story house for around RM2300…. recently i recieved a job offer with 3380 MYR per month. I am single and middle class indian. accomodation and fooding is being provided by company. do you suggest me to join. can you please advise what are the mandatory deductions i have to bear leagly. please suggest me below email id. If accommodation and food provided, yes please welcome to Malaysia. The following may be the extra expenses but optional. Welcome to Malaysia and see the different..
My name is JC and i am a filipino. a have job offer in malaysia RM 3050 salary. for the position as Senior Project Engineer. the accomodation is provided by the employer. food allowance they cannot mention. Is this offer is ok to my position? i dont have any idea.. please help me.. This is Waqar. Need some help. I have decided to visit Malaysia and I will with in a month. Nice to see your helping site. i need help , i’, getting a job in Malaysia , in horse racing field. as a stable hand and Assistant. so how much i can ask for monthly salary. and with accommodation and with out accommodation. with Tax and with out Tax. ? I have a 2nd interview scheduled on Monday, The company wants to know of how much im expectiing as a Design Head for an ecommerce business.They wont be providing with relocation allowances or anything..i want to live in the city Centre Kuala Lumpur, a smal but nice 1 bed apartment or studio apartment fully furnished. internet, grocery and transport to somerset residency. I work for an US Multinational company and am handling sales for the SE Asia region and India. I am planning to relocate to Kuala Lumpur, Malaysia with my family (spouse and 2 children aged 6 & 12). I also intend to take my father (aged 74) to live with us in KL since he is dependent on me (I am the only son). My mother passed away 2 years ago. I request you to kindly let me know if my father can live with us and what type of visa would be required for him to stay with us. I am sure taking my spouse and children should not be a problem as per Malaysian Immigration laws. We have employed many indian so called ” IT professional” for last few years. They are getting RM9k per month and put of 10 we have selected, only one is capable to work (not outstanding). The rest of 9, we will send them back within 3 months. Dont talk about the expenses or how much you can make in Malaysia, pls look into your capability. Malaysia is shortage of IT professional, thats why these people are taking the advantage. You are right that it is important to look to capable people for certain jobs. Employers however also bear their own responsibility when it comes to hiring qualified people. It is not a matter of taking advantage, it is a matter of seizing opportunities (which apparently are given plenty). STOP bringing those non-qualified, unfaithful and over paid people to negara Malaysia. Many of them lie on CV, lie on experience and getting diffierent people to attend their phone interview. what will be the salary for a Nursing Educator in KL? I am a Nurse lecturer with 10 yrs of clinical and 8 yrs of teaching experience. what will be my salary scale? or how much can I ask for? Pls advise. I am a single mother with 2 kids who are in 3rd and 5th standard. Thanks for information provided, I have got 8k salary and will be moving to KL soon, Could you please tell me what are the rent for 1bhk or studio apt( Unfurnished/semifurnished/fully furnished) in brickfield/cyberjaya or places near selangor(my office is in selangor). And cal you also confirm which are places i can look for near by office. Sure, you may search, but you will probably not be able to find an employer that is able to provide a work-permit in that short time frame. I am an investment banker currently working in India. I may get an offer from a Big4 for a Manager role in KL. Looking for your kind assistance. I’ve just moved to KL. I got a job with 6k per month before tax. The company is paying the rent and Internet, the accommodation is in Mont Kiara. I wonder if that alone would be enough if I’d want to bring my wife over as well? Depends. Where are you from and what lifestyle are you used to right now. RM6k isn’t that much, but you don’t have to pay rent and such which makes a huge difference. A place in Mt. Kiara would normally cost RM4k or more each month easily, so your wages would otherwise be much higher. Your employer will also pay your monthly electric bill? This would also save a lot of $. If you are able to spend that RM6k (before tax) for your costs of living only, then I guess you would be able to live a comfortable live. If you bring some savings to buy a car then you should be ok. If your wife is able to find a job due time, then it would be even better (and you would be able to save something too). I am moving to KL in October 2013. My salary per month will be $9000(USD) before tax. No extra benefit offered except medical insurance I want to save 25% of my salary. I have two kids along with my wife. She is Mech Engineer with 9 years experience in engineering design. Is there scope for her? I want to stay in KL near good Indian / International school. You got USD9,000 before tax per month is considered very high and not many people can get such income. You may spend per month only USD1,000.00 and considered enough, the rest you can keep in the bank. You can get Indian food at any place. Don’t worry about that…. Thank you very much for the prompt response. So nice of you. Can you please advice some location I can look for near Indian / International reputed school within proximity of Kuala lumpur, Malaysia? My Kid(8 yrs) is in Std III and 4 yrs kid is in Upper Nursery. iproperty.com.my what are the location I can select and search? You can stay at any place in Kuala Lumpur, but most expatriate like to stay at Ampang and Mont Kiara, a high demand prestige area. At this area the price for food is also 3X prices than normal. The following is the other international school lists. The price for international school is different, based on prestige. I’ve been reading through the questions and comments by you guys and must say, it’s been very informative. I have only a couple of questions and would be grateful if it’s answered. General Overview: My wife is been relocated to KL Malaysia in October 2013 and am relocating with her. Her company is paying for our travel, accommodation and basic needs. She’s South African and am British. Our passports will be stamped to work once we arrive there. She’s covered in terms of working but I need to find work. Am a Digital Designer and also have an IT background, with a degree and sound portfolio (14years). 1. What salary expectation should I ask for from companies? 2. Should I make job application before we leave for Malaysia or after we arrive at Malaysia? 3. Could you suggest a place to live within KL that is not too expensive, say around RM2000 to RM3000? Even though her company is paying for the accommodation, it’s less than RM5000 and we don’t want to spend all on rent because we want to get some stuff for the house and still be able to save. 4. If I have make applications only when we arrive, how’s the market for freelancing? Thank you for the property links and expatriate forums. I am going to close this thread as it is starting to clog my server. I will copy/paste your question to our forums. Please check it out there. I’ve read most of the comments there and I’ve got few questions. Bassically the plan would be to be to be hired by a UK company and send to KL to work in the medical field. I believe from what I’ve read, that I won’t have to pay income taxe in Malaysia as my salary & tax will be paid directly in the UK, correct me if I’m wrong. Based on this, my basic salary after tax would be about RM15.000, an additional RM3.000 for housing, and some sales bonus that I can’t calculate right now. I’m under 30 and single, would you recommend me some place to live, preferably close to the center with easy access to transport? I’m not looking at the very high end – can’t expect it for RM3k, but I’d like something close to an art district or relatively down to earth people. I’m French citizen and I own a french driving license, B type I guess, for cars. I believe I will be able to rent/lease a car in Malaysia without a problem once I’ve made the conversion. Now I would like to own a driving license for motorcycle, C, may I have some some info on how to obtain one? Also, as for brand new bike in Europe would cost around 15/17k euro, what would be the equivalent for Malaysia? That’s it for now, thanks for the answer! I have decided to disable replies to this article. It is much easier to keep all questions related to work and wages within a single forum category. From now on you can check http://www.wonderfulmalaysia.com/forums/viewforum.php?f=7 for answers to questions. If your question hasn’t been asked already, please kindly start your own topic. See you at the forums.